It's been a dull week so far - lot's of work, the pesky flu that's been going around which I have been doing my best to stay safe from, and the weather hasn't been that great either. 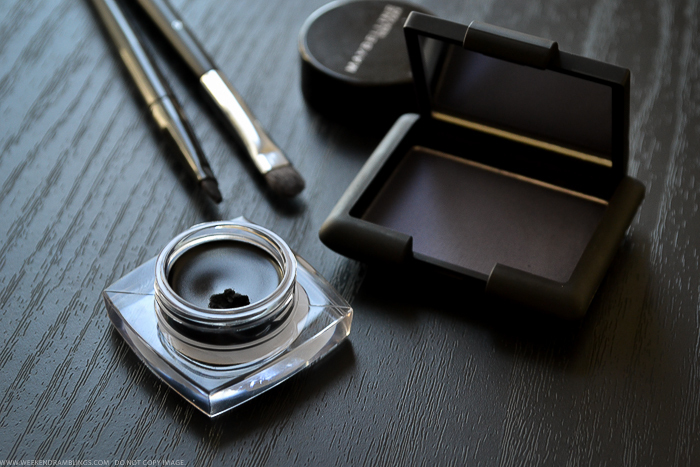 It is the perfect time for a darker smokey eye, though, and today's makeup is just that. 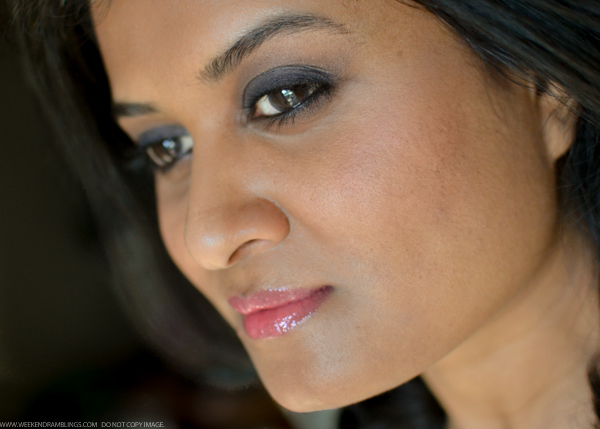 A dark greyish-purple smokey eye that I have paired with a coral lip. Here's how to do this easy smokey eye makeup look. Step 1: Apply a primer (I have used Urban Decay's Primer Potion) all over lids. Apply a shimmery taupe shade all over the lids, extending up to the crease. 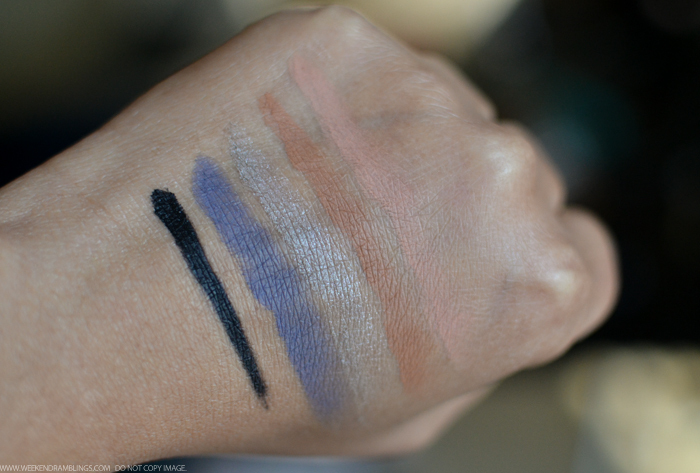 I have used the shade from Chanel's Mystere Eyeshadow quad. The shimmer is fine and not really chunky glitter. Step 2: Apply a matte dusty purple eyeshadow over the lid, keeping the color closer to the lashline and not quite extending to the crease. 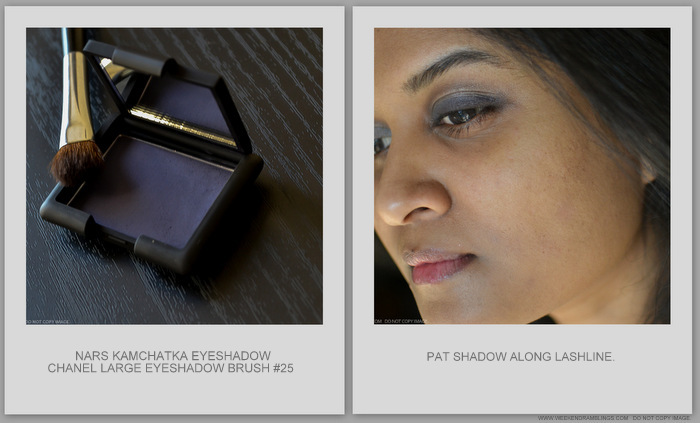 I used the same flat eyeshadow brush that I used to apply the earlier eyeshadow (Chanel #25 large eyeshadow brush). 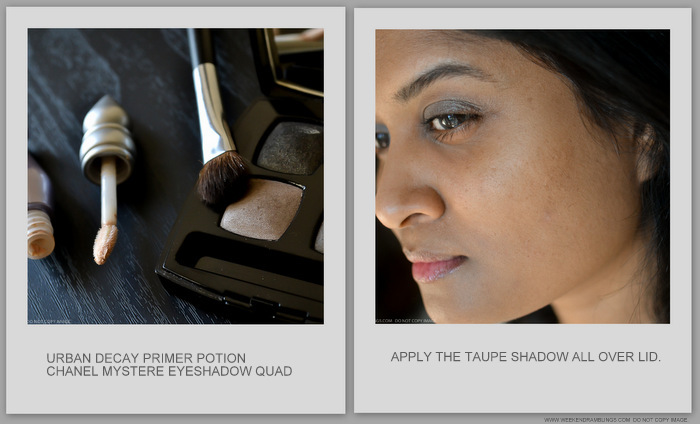 Step 3: Using an eyeshadow blending brush (NARS large dome brush), apply a warm brown eyeshadow (MAC Saddle) along the crease. 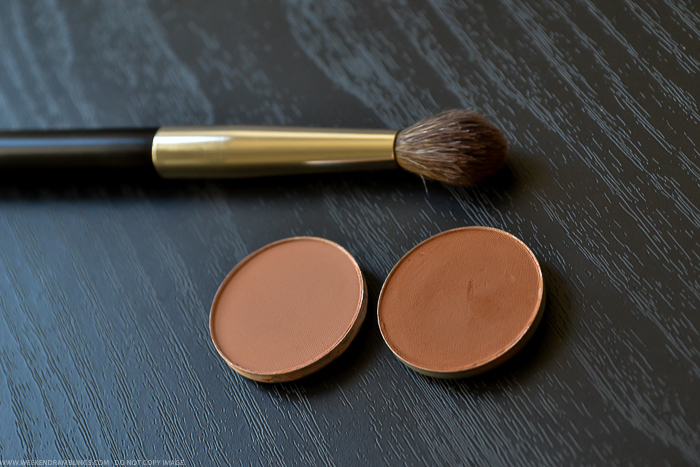 Use a softer brown eyeshadow that's close to your skin tone (MAC Soft Brown, in my case) to blend out the edges of the earlier eyeshadow and buff just above the crease. Applied MAC Saddle along the crease, blending with the earlier taupe-purple shadows. Then, used MAC Soft brown to blend Saddle and take out any harsh edges. 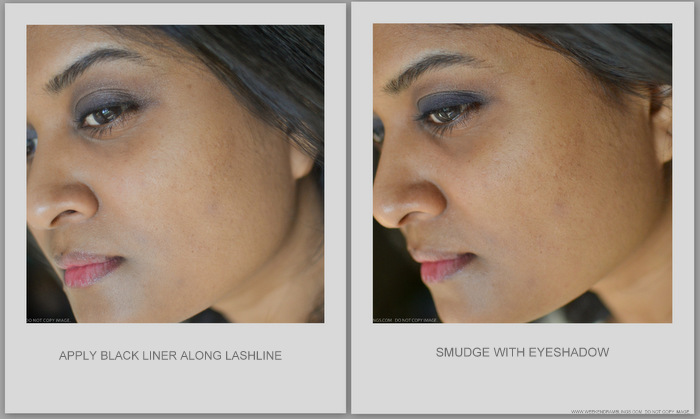 Step 4: Apply a black eyeliner along the lashline (Maybelline gel eyeliner) and use the purple eyeshadow to smudge it. Brushes used: Maybelline liner brush to apply the liner and Chanel #26 shadow-contour brush. Using a kohl or any non-waterproof pencil for this step is a better idea as it would be easier to smudge and blend, but I used whatever I had lying around :P Also, if the lid color starts to fade off with all this blending and buffing (which it has in my case), just pat on some extra shadow to build up and intensify the color. Keep the shadow close to the lashline, though. 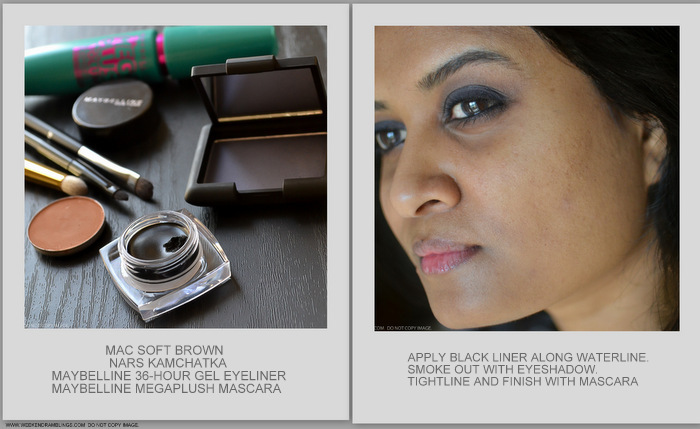 Step 5: Use the same black eyeliner along the waterline/tightline. Apply it a bit messily along the lower waterline, and use a pointed eyeshadow brush (Tom Ford Smoky Eye Brush) and the purple eyeshadow to blend this out. Use the same brush and the brown eyeshadow applied along the crease (in this case, MAC Saddle) to blend out the edges of the line some more. Curl lashes and finish with mascara (Maybelline Megaplush). And that's the finished look! Since I used darker colors and did a bit of buffing/blending, there was quite a bit of fallout, and I did the rest of my face makeup after I was finished with my eyes. To add a pop of color, I paired the darker eye with a coral lip (Maybelline Glam2 Lip Polish) and a peach-coral blush (Chanel Fleur de Lotus). Hey snap!!! I wore a very similar look today: smokey eyes from the Chanel Charming Palette and coral lips and cheeks with Chanel creme de blush in Intonation and lipgloss, the coral-red one, from spring, worn over Fouguese. Great look on you too! 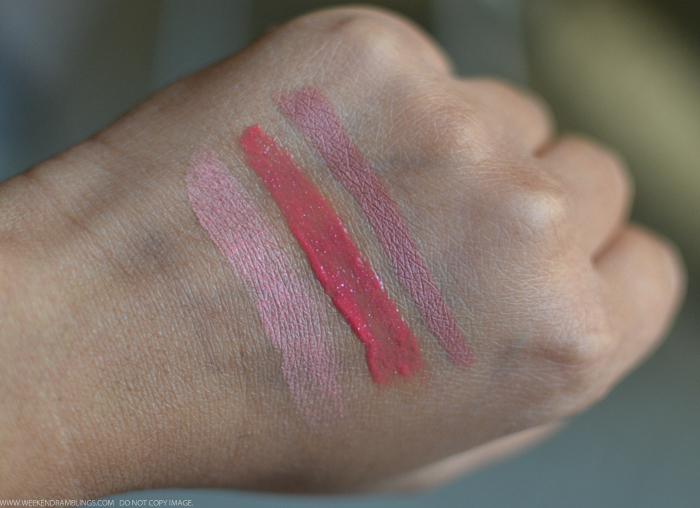 Questions about your base products: What shade of Perfection Lumiere do you use? Do you use the Naked BB as a primer under the Chanel? 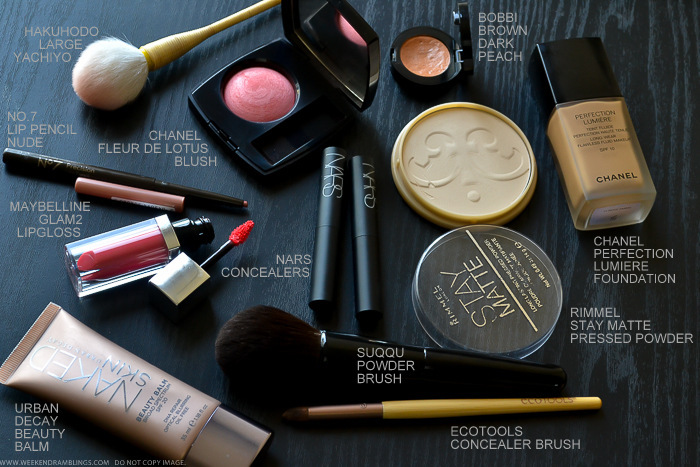 Are you using the Bobbi Brown Dark Peach under or over concealer under your eyes? On to the Bobbi Brown Dark Peach, I use this under my eyes. I have greenish dark circles, and quite a bit of pigmentation at the corners (with added creases), and this helps knock out some of the darkness. Then I add NARS Caramel over it - just a light layer - only over the dark circles. Just below the edge of the dark circle I add NARS biscuit..helps bright a bit of light to the area and extend it down along side of my nose ..so it's soft of like a triangle along side of nose..hope that makes sense :P :P As for my blemishes..which I have tons of..I use NARS Caramel on a pointed concealer brush and dab it over teh blemishes. Sometimes it covers on it's own. Other times I am trying out CoverFx in I thinkkk Neutral Deep..it's a sample..to give more opaque coverage..but it doesn't match the darker parts of my face..so I cover it with NARS Caramel to match my skin. Sorry I typed in such a long, rambling reply..but finding a proper skintone match seems to be an almost impossible task for me! A long rambling reply is exactly what I was hoping for, lol - I think you and I share a very similar skintone, so that's why I asked. 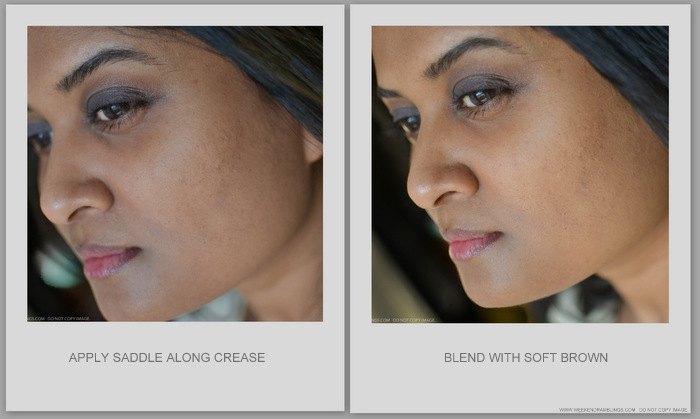 I mix NARS TM in Annapurna and St. Moritz to knock out some of the very strong yellow tones in Annapurna, and when I saw that you did it as well, I scoured your blog to look at all of your foundation matches. Right now for everyday base, I'm using Dior's Pro-Youth Skin Tint in shades 2 and 3, mixing them in about 1:3 ratio...and of course shade 3 is discontinued. :-P I have to give the NARS stick concealers another look - last time I tried them, they seemed too sheer and dry - I'm thinking of combining MAC prep/prime highlighter and MAC select coverup for a new concealer, but still have to experiment. Thank you for your reply, so so helpful!! Haaa...yes I do that too..but I do find the NARS finish a bit more "radiant" and sometimes it can look a little too oily especially in photos..sighhh..there's always a catch with everything :D Now that it's winter, I should probably go back to it. I agree with you on the texture of the NARS stick concealers..they do go on a bit dryish powdery at times..but I have oily skin and I am sort of managing with them. I figured if it's dry it will last longer on me :P I want to buy the creamy version, but Biscuit in that seemed ashier than the stick version of Biscuit. Maybe Caramel might be perfect in the creamy concealer..decisions decisions :D :D I also got a sample of MAC Prolongwear..nw35 is what the guy at the counter recommended...it looks good when I start..as in, the coverage for my underye area is awesome..but then after a while it just looks dull and dark....maybe I should top it with some other highlighter kinds..
Heh - I'm using MAC Pro Longwear concealer right now (in NW30, I think), and it totally starts looking a little dull throughout the day! Pretty decent coverage, but it's not really the best at brightening the dark areas under my eyes. :-P I carry the MAC Prep and Prime highlighter with me on my way to work when I don't have time to apply concealer at home - not great undereye coverage when it's used on its own, but the brightening effect is great. Ya I was planning to try out some of those reflecting pen things to top over the concealer...it's like I buy one thing and then need 5 other things to make this one thing work! I think u can use the MAC NW30 concealer to correct under the eye and that looks natural because of its reddish undertone, but in order to brighten you will need some thing more yellow-toned. 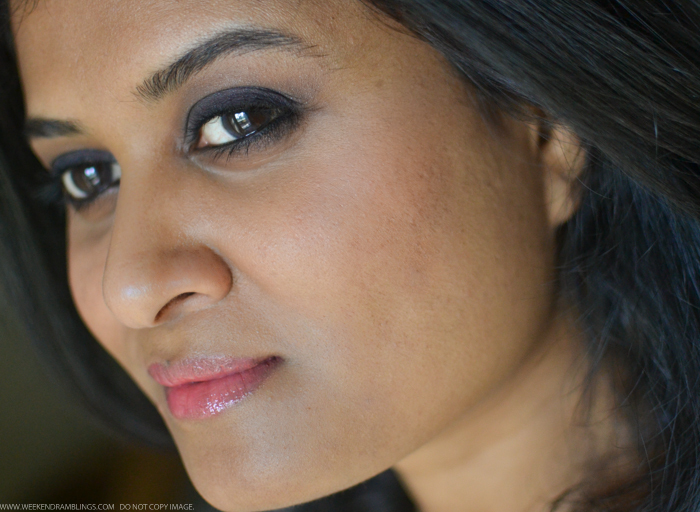 That seems to work the best for us darker Indian skin tones. If you use a yellow-toned concealer to conceal it will seem a little ashy after a while as it really doesnt cancel the darkness. you might want to give it a try. Superb! I have never tried coral lips with smokey eyes. Lovely post and a very unique way of doing a tutorial....the loved the Fleur de lotus blush and wish to get it someday. I think and believe that a bit of heavier hand is needed when u do a makeup for photography. See of that works for u...I loved the look a lot though. very day wear and very nicely executed.